According to The Free Thought Project, beginning in 1996 all federal agencies were required by law to conduct regular financial audits, but the Pentagon has never complied. This means that, for the past 20 years, it’s never accounted for the the trillions in taxpayer funds it has spent. In fact, a 2013 investigation by Scot Paltrow for Reuters uncovered that the Pentagon has been “fudging” numbers for a long time, and it’s simply considered to be standard procedure. Every month until she retired in 2011, she says, the day came when the Navy would start dumping numbers on the Cleveland, Ohio, office of the Defense Finance and Accounting Service, the Pentagon’s main accounting agency. Using the data they received, Woodford and her fellow DFAS accountants there set about preparing monthly reports to square the Navy’s books with the U.S. Treasury’s – a balancing-the-checkbook maneuver required of all the military services and other Pentagon agencies. 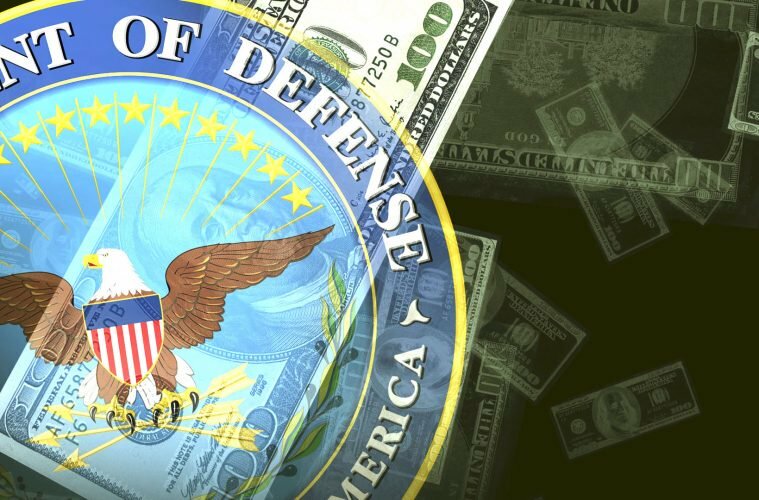 According to Rafael Degennaro, the Director of Audit the Pentagon, over the past 20 years the Pentagon has broken every promise to Congress about when an audit would happen. They’ve responded by claiming the audit is going to start right away, and will now occur annually. But can these audits be trusted? After so much controversy, secrecy, and law-breaking, how can we trust these audits will square the books? It’s obvious this money has gone into programs that the world knows nothing about. NPR is reporting that the Department of Defense’s Office of the Inspector General has “hired independent public accounting firms to conduct audits of individual components — the Army, Navy, Air Force, agencies, activities and more — as well as a departmentwide consolidated audit to summarize all results and conclusions.” This is according to the official DoD News agency. How do we know that the U.S. government branch responsible for the audit will not be in “cahoots” with or influenced by the Pentagon, or the tremendous power the Deep State has amassed? The point is to recognize that our own money has been used to fund projects that nobody really knows anything about, most likely benefitting the few, to the cost of many. The human race is going through a massive transition, and one part of that transition is becoming aware of the secrecy that’s plagued our world, and the massive potential the human race really has to change it, and create an experience where all life can thrive. This isn’t possible without transparency. Transparency is necessary, as it helps us identify problems so we can begin creating solutions and moving past experiences in our system that no longer resonate with us, the collective.